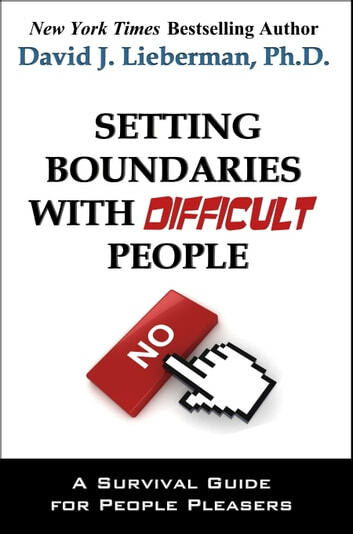 The New York Times Bestselling author, Dr. David J. Lieberman, introduces a wonderful right-to-the-point book that shows readers how to put an end to boundary issues once and for all! 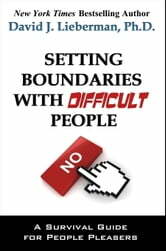 You'll discover exactly what to say, as well as learn the underlying psychology that motivates them to always ask, and you to always give-in! Motivation: Get Motivated. Stay Motivated. How to Save your Marriage in the 11th Hour. Living Life On Your Own Terms: 3 Steps to Transform Your Life! Emotional Intelligence: The Secret Tips to Reaching Your Academic and Career Height Without Stress!